Recap: Episode starts with a recap reminding viewers where we left Carol and Morgan. Carol is slowly waking up and seeing that she is being taken somewhere. Then the scene changes and they are overrun by walkers. Carol is hallucinating and limps off. More people on horses come and take out the extra walkers while Carol keeps seeing the walkers turn into real people. They continue on their journey to take Carol to somewhere that she can get help. Morgan is there when she wakes up from a two day sleep. We see the town, "The Kingdom" being run pretty nicely. 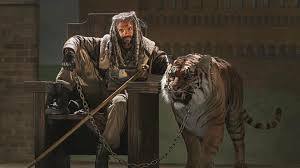 Morgan takes Carol to the leader known as King Ezekiel. We meet Ezekiel and Shiva! Shiva is a bit on edge about Carol but Ezekiel says welcome. Ezekiel is so cool and smooth with how he talks. Ezekiel says if you drink from the well, you replenish the well - basically if you take then you must give back. Carol is playing up the sweet lady act which kind of annoys me as Ezekiel is awesome. Carol tells Morgan that she plans to go when no one is watching and Morgan lets her know that he will not let her die out there. Ezekiel takes Morgan hunting with the group. They capture hogs by feeding them a walker. The two trucks break up and Ezekiel explains that the truck is going somewhere else. Ezekiel asks Morgan to train the one young soldier, Ben. You see a human side to Ezekiel expressing his need for Ben to live. Such fun choir music playing in the background as Carol sits and contemplates life. Carol is using her wheelchair to get around and grabs a knife and chocolate while others are not looking. Morgan continues to work with Ben. Carol is smiling and talking to a town person and distracts him so she can take some clothes. Ben asks to read the philosophy book that Morgan carries around with him. Ezekiel shares a secret with Morgan and the costs that he must pay. We see a couple of Negan's people show up. They are there to take the hogs that have been well fed on walkers (oh I love it!) Morgan asks why he was wanted there and Ezekiel says it was not for him to kill. Ben shares with Morgan that Ben's father died clearing out a building. Ben talks about how Ezekiel does not want to fight the other group. Morgan goes to find Carol and notes that she is gone. Carol is taking some fruit and Ezekiel shows up and lights a fire. Ezekiel points out that she is leaving suddenly. Ezekiel asks Jerry to give them some space. Ezekiel calls Carol out on her sweet and innocent act. Carol tells him that he is a joke. Ezekiel gives real talk about how he become the leader and how he was originally a zookeeper. Carol says that she just wants to go away. Ezekiel tries to talk Carol into not running off and he wants to help her. Carol and Morgan are on horses going to the house that they originally passed when first coming through. The house is surrounded by a strong fence and Morgan tells her to take care of herself. They part ways and Carol heads into the house as her new residence. There's a knock on the door but she hears Shiva growl and Ezekiel is there offering her a pomegranate that she originally refused. 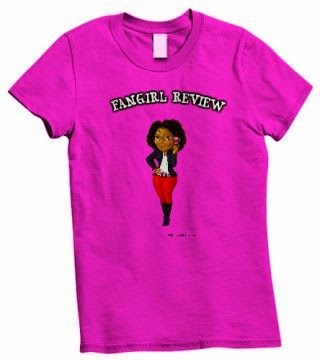 Fangirl Thoughts: Ezekiel and Shiva! I remember when I first read the comics and I had to flip back and forth to make sure that I was understanding what I was reading. I had to say to myself, does this man legit have a tiger! Once I recognized that what I was reading was legit, I couldn't help but to fall in love with the character and his very quirky ways. I enjoy the story of Shiva. She is man's best friend! This is a much lighter episode which is what we needed to clean our palette. 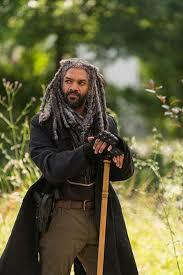 I think Ezekiel delivered the character and I look forward to seeing Rick meet him. So I guess since Michonne is taking that Ezekiel's love interest will be Carol since she calls him out. Overall I look forward to seeing how this goes.